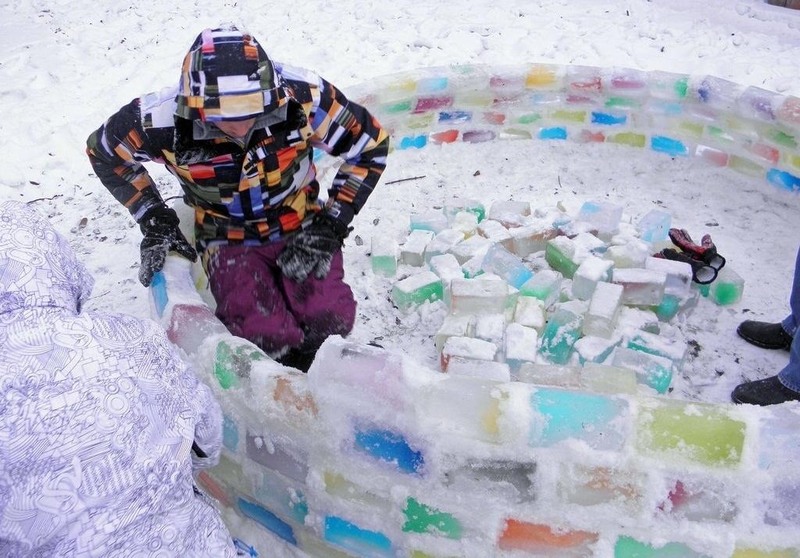 How To: Build Your Own Rainbow-Colored Igloo with Milk Carton Ice Blocks and "Snowcrete"
When most of us are snowed in, typical activities include movie marathons, hot chocolate, and complaining about being bored. Maybe, if we're feeling ambitious, we'll build a snowman. Not this guy. Daniel Gray and his girlfriend traveled from New Zealand to Canada to spend five weeks with her family. 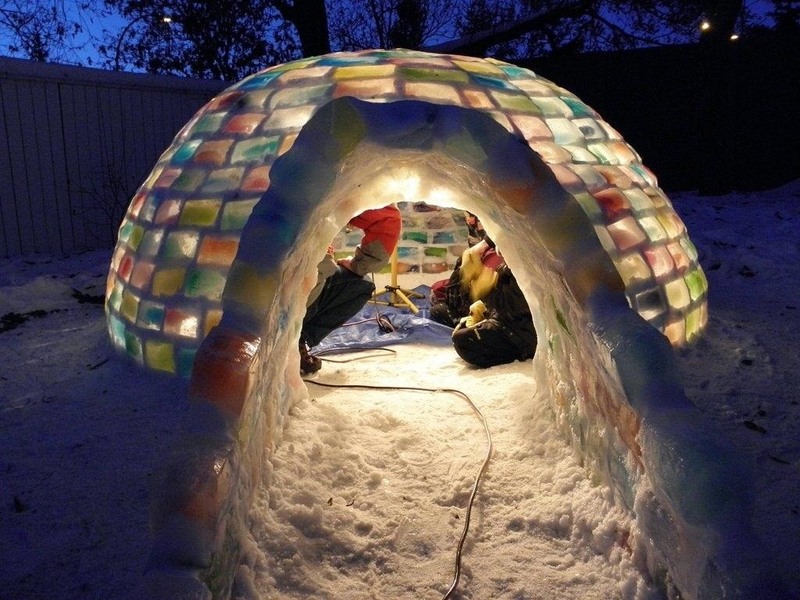 Her mother wanted to "keep him occupied, not with my daughter necessarily," so they used their vacation to build this awesome rainbow colored igloo. 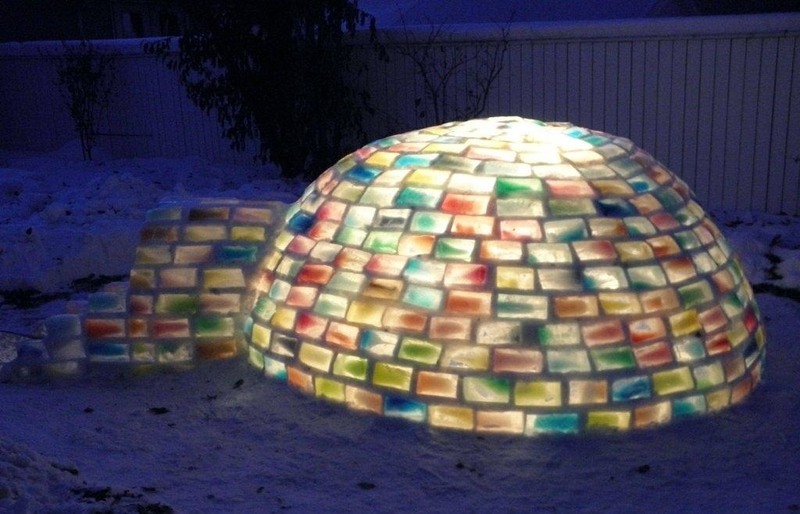 To make the colored bricks, they froze milk cartons full of colored water. The bricks are held together with what David calls "snowcrete," which is snow mixed with a little water. The whole process ended up taking about five days and got the attention of a local news station. They spent 150 hours building it and used about 500 blocks in all. 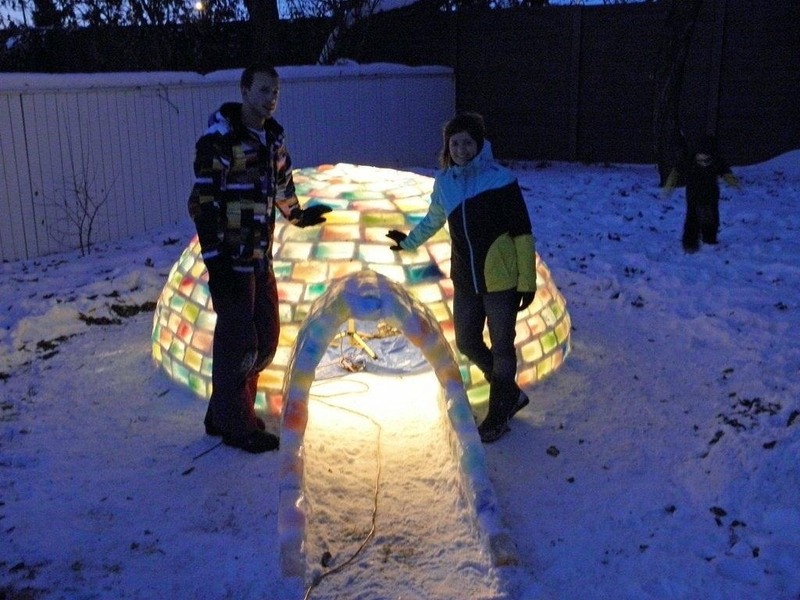 You can find more photos in the Imgur album, and details on how they built it on the Global Edmonton news blog.